OK… I can say this now without fear of spoilers. I am so thankful Rachelle started book 2 where book 1 left off. Wondering what I thought of book 2? Book two of the series is just as fantastic as book one! 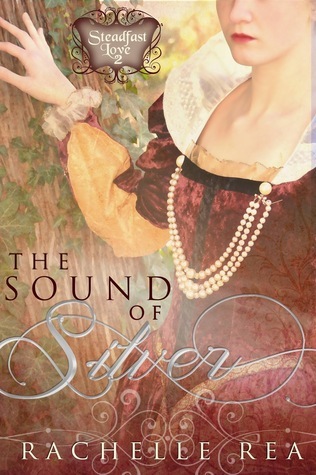 Not only do we get to see more romance in The Sound of Silver, Rachelle Rea takes us deeper into the relationship – not only between our characters, but to the world and the people around them. Book 1, The Sound of Diamonds, was more about rescue . . . and escape. The Sound of Silver is focused on the characters and their journey. Rachelle Rea has definitely found her niche – and yes, I am on the edge of my seat waiting for book 3! After Dirk rescues Gwyneth from the Iconoclastic Fury, she discovers that faith is sometimes fragile—and hope is not as easy as it may seem. Gwyneth continues her quest to learn more about the love of God preached by Protestants she once distrusted. Meanwhile, Dirk’s quest is to prevent his sullied name from staining hers. Will his choice to protect her prove the undoing of her first faltering steps toward a Father God? Once separated, will Dirk and Gwyneth’s searching hearts ever sing the same song? Rachelle Rea plots her novels while driving around the little town she’s lived in all her life in her dream car, a pick-up truck. As a freelance editor, she enjoys mentoring fellow authors in the craft. A homeschool graduate and retired gymnast, she wrote the Sound of Diamonds the summer after her sophomore year of college. Visit her website and blog at Inspiring Daring.